My husband is a wonder with words. He seems to be eloquent with every word he speaks or writes. I am constantly in awe of his ability to speak with ease and finesse. He can masterfully pen any written work whether it be a humor-filled tale or a thought-provoking narrative. Of course, I am biased. I am his wife. I fell in love with his writing after all. He would write little notes to me during our courtship. He is very “old-school” like that. He even created a crossword puzzle to ask me on a date! What? Yup, I’m lucky. 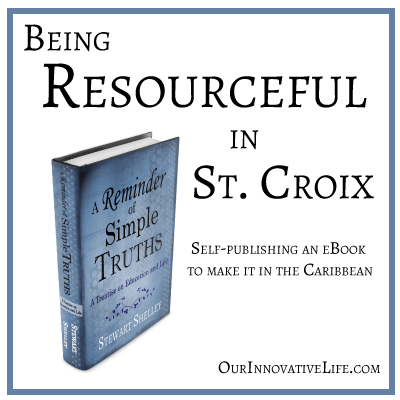 Naturally when we moved to St. Croix and we suddenly had plenty of time on our hands, I gently encouraged (ok…really…I forced) him to sit down and write. I told him that until we find the right job to provide for our family, why not try our hand at self-publishing! It should be simple! He did it. He sat down and wrote a simple eBook that you can now get for yourself on Amazon. I helped him with the publishing aspect and now, you too, can own some of his very wise words. 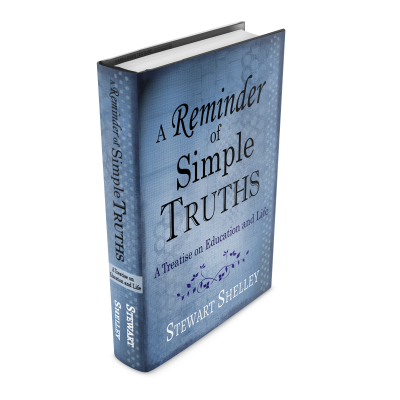 The book is based on simple truths he learned while being a teacher for 14 years. He has shared this with many students over those 14 years. Now it is in a concise, easy to read, eBook format . Feel like you’re being sold to? Good – you are. We are trying to make a go of this life we have chosen – in ANY way we can . We know that our friends and family (and the possible 2 strangers that might read this) will help get the word out . We are not doing this to make a million dollars (it’s only $2.99 )….come on, we are not completely delusional. We are being resourceful. We are hoping that it might garner some funds for fun things our boys can do. You know, those extras that usually get cut when you’re on a tight budget. Who knows? What else is possible? What nuggets of wisdom do you need to learn from this book ? Check it out! If you are a student or someone who has had the privilege of listening to his lessons on the Treatise of Education and Life , share your experience here or write a review of the book ! THANK YOU for supporting us in this endeavor! It means a lot!